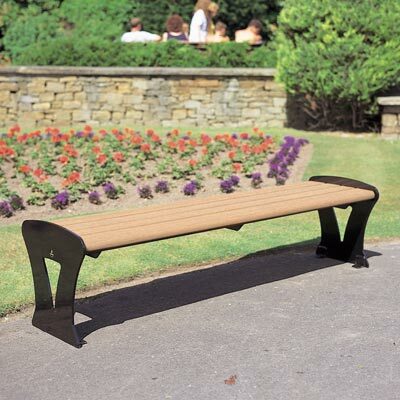 Our Classico backless bench combines a classic style with minimum maintenance materials (stainless steel and wood effect plastic), ideal for parks and streets with a traditional heritage environment. Strong steel frame with Timberpol™ Material slats. Weather resistant - will not rot. Seat ends: Mild steel with Armortec™ Coating. Height: 440mm (seat), 480mm (overall).